The American Health Council has elected Alicia Meidinger, BSN, MSN, FNP to its Nursing Board for her continuous dedication to helping others in need. As an emergency room nurse practitioner at UnityPoint Health-Meriter in Madison, Wis., Ms. Meidinger has spent the last five years ensuring that all patients receive prompt and efficient care. While she has spent a decade in the healthcare industry, she has spent countless hours perfecting her skills in emergency medicine and educating herself further in women’s health and psychiatry. Following the suggestion of her sister, Ms. Meidinger enrolled in an emergency medical technician class in high school. After completing the course, she served as an EMT for several years and administered emergency care to patients. Each patient that left her care — out of the ambulance and into the hospital — sparked her curiosity to learn more about the next steps in patient care once they were transported to the emergency room. 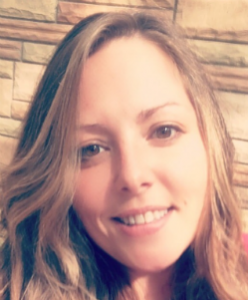 To learn more about patient care, Ms. Meidinger enrolled at Presentation College in South Dakota and earned a bachelor’s degree in nursing in 2007. That same year, she began working at St. Mary’s Hospital in Madison, Wisconsin where she worked as an emergency room RN. While at St. Mary’s Hospital, she enrolled at Concordia University and earned her master’s degree in nursing in 2012. The following year, she started at Divine Savior Healthcare and served as a nurse practitioner in the emergency room, until securing a similar role at UnityPoint Health-Meriter in mid-2015. Dedicated to her line of work, Ms. Meidinger believes that working in the emergency room is not a job, rather, it is a way of life. She looks forward to learning new medical practices, caring for patients, and communicating with others each day. She truly loves her career, as each day is a new adventure. She maintains an active schedule as she sits on maternal-fetal medicine board at the facility, and is an active member of Sigma Theta Tau, an organization that aims to support nurses in their efforts to improve others’ lives. She is a member of the American Association of Nurse Practitioners and is on the Badger Honor Flight’s medical staff. In her free time, Ms. Meidinger enjoys spending time in nature, hiking, kayaking, reading and traveling the world. She plans to continue to deliver excellent care to her patients, changing one life at a time. UnityPoint Health – Meriter provides convenient, personal care to patients in hospital, clinic and home health settings. Offering primary and specialty care, including the busiest birthing center in Wisconsin, Meriter is regularly recognized for outstanding quality and patient experience. UnityPoint Health – Meriter is proud to be one of 129 Wisconsin hospitals to voluntarily report clinical, safety and mortality data into the Wisconsin Hospital Association’s CheckPoint Web site.